Bold and the Beautiful spoilers indicate Brooke Logan (Katherine Kelly Lang), Ridge Forrester (Thorsten Kaye), and Bill Spencer (Don Diamont) sit down for Thanksgiving at different tables. Steffy Forrester (Jacqueline MacInnes Wood) takes a place at the table reserved for the matriarch of the Forrester family. It looks like Steffy does something in the coming episodes to earn that spot at the table. The Forrester, Logan, and Spencer families gather for a day of giving thanks along with friends. But a lot happens in the next two weeks leading up to that day. Underneath the happy smiles, anger seethes, guilt seeps in, and claws emerge. Will someone end up wearing the mashed potatoes and gravy? During the next two weeks, events unfold that result in the Forrester holiday dinner boiling over with secrets and jealousy. Bold and the Beautiful spoilers indicate Quinn Fuller (Rena Sofer) has a good reason to look at Donna Logan (Jennifer Gareis) as a threat to her marriage. Next week on Bold, Donna continues to cast her net in the direction of Eric Forrester (John McCook). She’s in cahoots with Pam Douglas (Alley Mills). It looks like Pam talks Eric into making Donna co-receptionist at Forrester Creations. This puts Donna in Eric’s path on a daily basis. There’s a method to Pam’s madness, so to say. Bold and the Beautiful spoilers have Donna acting like a double agent in the coming episodes. While Pam uses Donna to break up Quin’s marriage, Donna has her own agenda for doing this. She wants Eric back in her life despite agreeing to this as part of Pam’s ploy. Brooke Logan is not herself in the coming weeks, she is preoccupied with the secret she harbors. In the meantime, Bill Spencer assures Justin Barber (Aaron D Spears) that Brooke will do the right thing and tell him what she knows. Ridge Forrester learns from Brooke that Bill knows about his involvement with Judge Craig McMullen (Joe Lando). Brooke swears to Ridge that she had nothing to do with Bill learning the truth. She also lets Ridge know that she’s overwhelmed with guilt keeping this secret from Bill. Ridge ups the ante with his demands. He is coming at Brooke fast and furious with his orders to stay away from Bill. Brooke Logan continues to defend Bill, which puts even more anger into the mix on Ridge’s part. Bill Spencer is concocting a ploy of his own that includes Ridge Forrester and Judge McMullen. Ridge and the judge meet but realize it was Bill who set up this meeting. Bill’s ploy works. The two men are worried now that Bill knows Ridge had a hand in the custody outcome. As the older generation struggles with the secret of Ridge’s dirty deed, a member of the younger generation shines. Steffy is an instant sensation in the showstopper design she struts down the catwalk. The success of Steffy’s Intimates collection is probably what earns her the prominent seat at the Forrester Thanksgiving dinner. 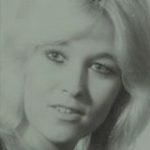 She is opposite the patriarch of the Forrester family, her grandfather Eric. Bold and the Beautiful spoilers indicate that Hope Logan (Annika Noelle) helped Steffy with the seating arrangement for the Forrester Thanksgiving table. The holiday brings the Forresters, Logans, Spencers, Avants, and Spectras together for the day. 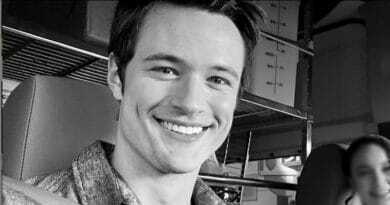 After Eric makes his thoughts clear about Pam and Quinn’s feud, Quinn has to be gracious to Pam. It looks like Eric surrounds himself with Quinn, Pam, and Donna during the family holiday dinner. Was that a coincidence or is this Eric’s way of policing the peace? 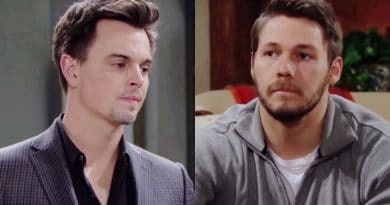 According to the Bold and the Beautiful spoilers, Liam Spencer (Scott Clifton) and Wyatt Spencer (Darin Brooks) share an “emotional” moment with Bill. But they later wonder why Bill is missing from a family event. There are two newcomers to this traditional Thanksgiving celebration at the Forrester estate. That would be baby Kelly Spencer (Gabriel Sporman) and Zoe Buckingham (Kiara Barnes). In the days leading up to Thanksgiving, Hope and Emma Barber (Nia Sioux) watch Xander and Zoe flirt with each other. That might explain why Zoe is seated with Xander Avant (Adain Bradley) for the Forrester Thanksgiving dinner. Does Zoe’s constant advances toward Xander finally pay off, as there’s no mention of Emma at this event? Bold and the Beautiful spoilers offer old battles amping up along with new battles starting up. Jealousy and hatred lead the way to some devious events in the coming weeks. But for a few hours on Thanksgiving day animosities are stifled and these intriguing people all give thanks.